This entry was posted on June 1, 2010 at 12:00 pm	and is filed under Health and Science. 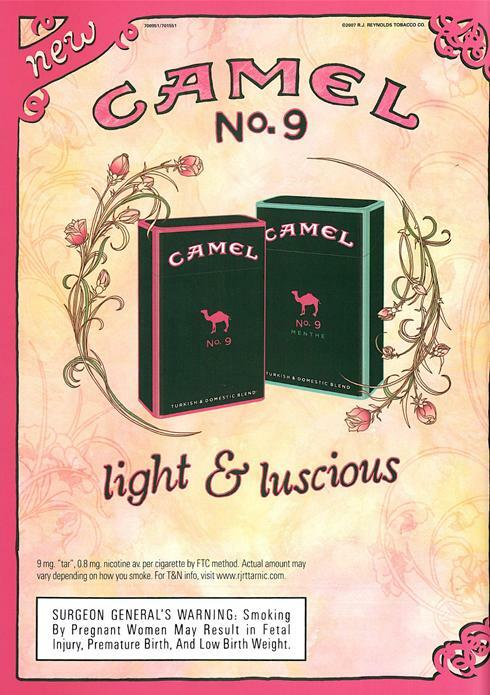 Tagged: camel, camel-no-9, cigarettes, print-ad, tobacco. You can follow any responses to this entry through the RSS 2.0 feed. You can leave a response, or trackback from your own site. I see that warning more often than others. I suspect because it’s the least dire-sounding one they could choose in that it only applies to women (half their demographic) and only pregnant ones at that. It really irritates me that the Surgeon General lets them get away with that crap.